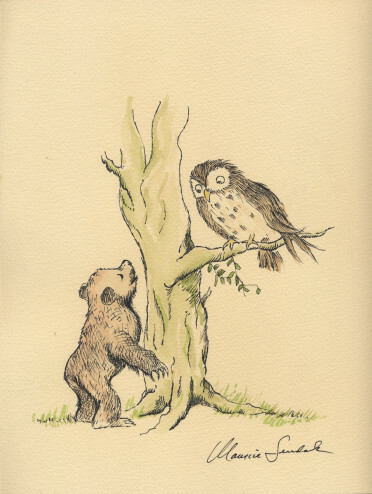 ©Maurice Sendak, All Rights Reserved. 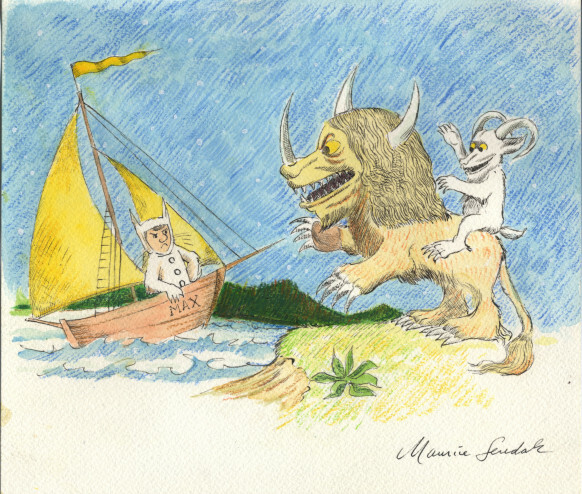 Maurice Sendak: 50 Years; 50 Works; 50 Reasons is a comprehensive retrospective of select works by the late artist. 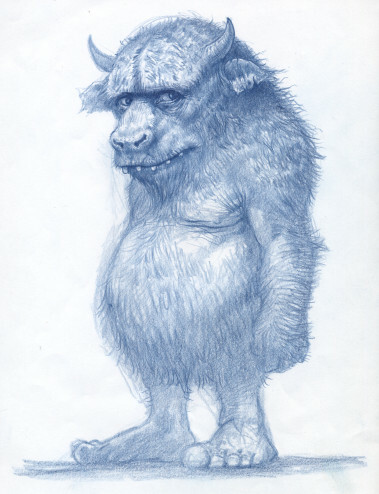 The original work is supplemented with accompanying comments by celebrities, authors and noted personalities such as Bill Clinton, Spike Jonze, and author Tony M. DiTerlizzi. 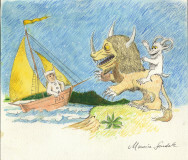 Organized by Steven Brezzo, and toured by Opar, Inc, the exhibition celebrates the fiftieth anniversary of the publication of Where the Wild Things Are with original drawings, prints, posters and more from one of the greatest children’s authors of the 20th century. Special thanks to the lenders to the exhibition and to AFANYC for their support. Maurice Sendak’s Where the Wild Things Are has sparked the imaginations of generations of readers since its publication in 1963. As an artist, illustrator, and author, Sendak expanded the scope of children’s literature to acknowledge children as intelligent individuals with powerful emotions–boredom, anger, fear, and of course, the need to be where someone loved them best of all. 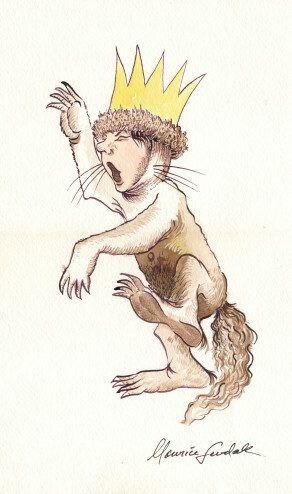 Sendak’s love of art and books began as a child, when he was often sick and confined to bed. He would later infuse his stories and illustrations with these early experiences of illness and family tragedy, but also the joy and magic of his astounding imagination. Works included in the exhibition have been selected from private collectors, friends of the artist and numerous media sources to offer a survey of Sendak’s range as an artist and author, as well as his influence on generations of readers and young adults. Photographs, sketches, and finished works in a variety of mediums offer insights into the artist’s biography and evolution of content.